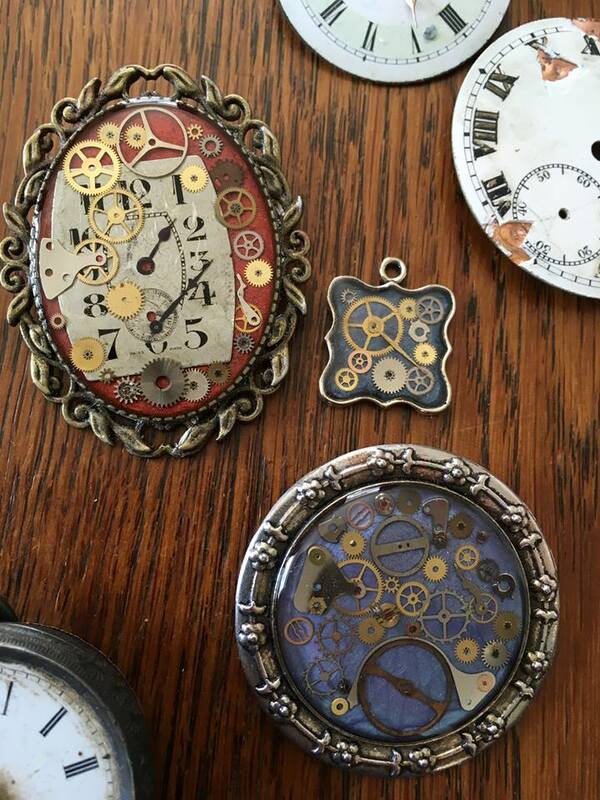 When I started making my steampunk jewellery I stuck to the approved “brass & brown” line (which I do love! )- but steampunk is a broad church and so much scope for fun to be had. When you go to an event and look at the amazing outfits people create- there is colour and vibrancy everywhere! I’ve been asked for various colours to match wedding schemes and even someone’s favourite corset. So today I started playing in earnest. 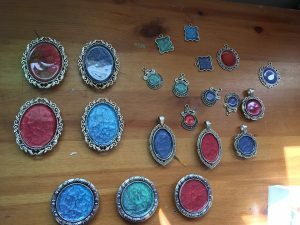 I LOVE these jewel bright colours and their silver tone mounts- and can’t wait to see them over laid with my watch parts (I have to wait a week before I can do that)- why not add a splash of colour to your outfit, just drop me a message and you could reserve one of these beauties or order your own custom piece.